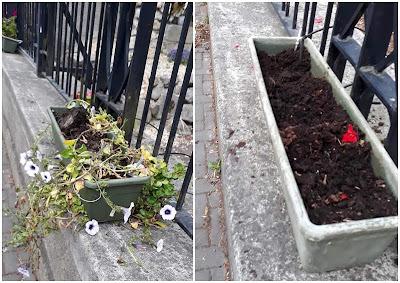 Kilcullen Community Action would like to get any information on whoever knocked over three planters from the CPC wall at the weekend. The planters are part of the overall Kilcullen in Bloom 2018 programme which is helping to make the town look really nice through the summer. The programme is supported by donations from businesses, individuals, and local organisations as well as the local authority, and put in place and maintained by Tidy Towns volunteers. The planters before the vandalism.